In human body, the cardiovascular system, also known as the circulatory system, is an organ system of closed tubes that transport blood from the heart to all parts of the body, and thereafter return back to the heart. 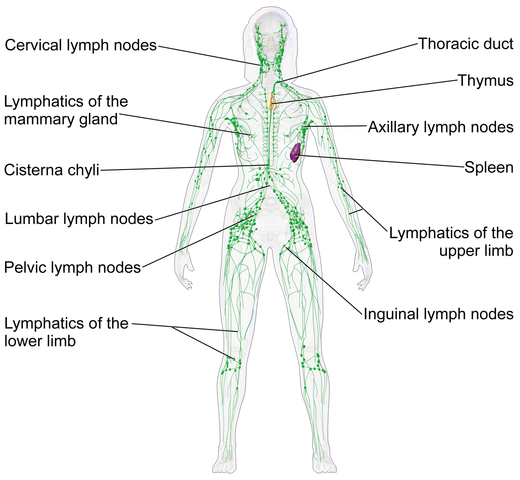 Oxygen and nutrients are carried to the tissues via this system, and carbon dioxide and waste products of tissue metabolism are also transported through this system for removal from the body. The cardiovascular system consists of a four-chambered heart - right atrium, right ventricle, left atrium, and left ventricle – that rhythmically pumps blood and a series of vessels - arteries, veins, and capillaries - that carry blood from and to the body. 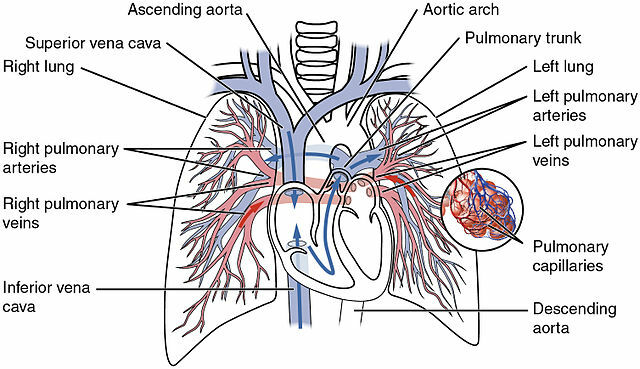 The cardiovascular system is intimately connected to the respiratory system, urinary system, and digestive system. The respiratory system is linked for the spontaneous supply of oxygen and elimination of carbon dioxide; the urinary system is closely associated for the filtration of blood and elimination of nitrogenous wastes; the digestive system is related for the pickup of nutrients. How the Cardiovascular System Works? When we breathe in oxygen travels through the components of the respiratory system and finally enters into the tiny air sacs, alveoli, of our lungs. From there oxygen diffuses into the bloodstream leaving the lungs. This oxygenated (oxygen-rich) blood then enters into the left side of the heart and from there the heart pumps it through a series of blood vessels – the arteries – to the different tissues of the whole body. This oxygenated blood when reaches the capillaries in tissues deliver oxygen to provide cells with the required material to produce energy. During the energy production, waste products, e.g. carbon dioxide and water, are released by these cells and accordingly, these waste products diffuse into the bloodstream so that blood can transport it to the appropriate areas for elimination. Nitrogenous wastes are transported to the urinary system for the removal. The deoxygenated (carbon dioxide rich) blood then passes along the veins and returns to the heart. The deoxygenated blood enters into the right side of the heart so that the heart can pump it back to the lungs. The carbon dioxide from the deoxygenated blood diffuses into the alveoli to facilitate the process of exhalation through the respiratory system. The blood then absorbs fresh oxygen from the lungs and travels to the left side of the heart so that it can start the cycle again.